If compressed air is not dry before feeding into the pipelines, it results in a substantial amount of condensation. This leads to problems in valves, pneumatic components and eventually results in loss of production. Since pressure dew point is one of the key parameters for quality compressed air, it should be monitored constantly. To ensure high quality production, our dew point monitoring devices measure the quality of air within the dryer. 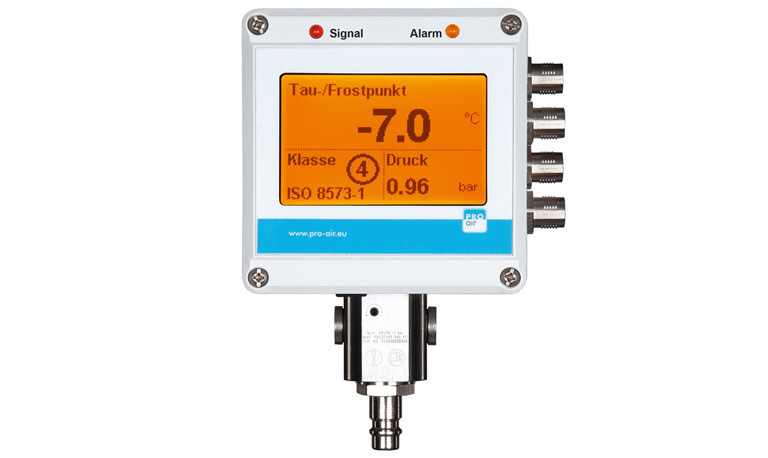 The pressure dew point transmitter is designed for quick transmission of measured dew point to peripheral device (for example control units).